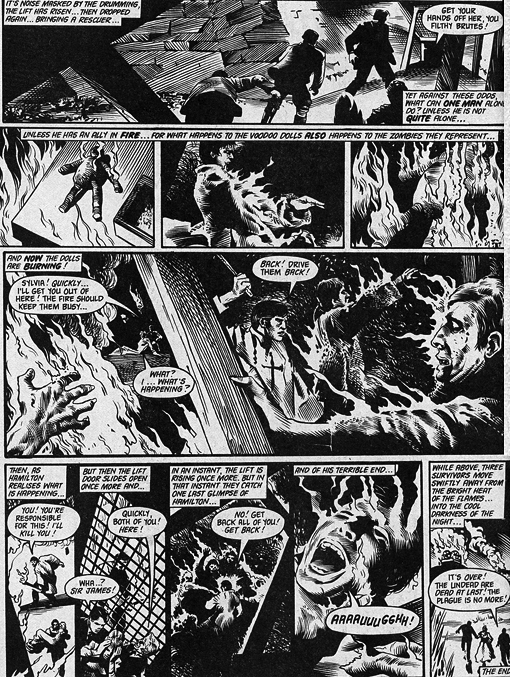 This is another Hammer film adaptation comic from The House of Hammer (also known as Hammer’s Halls of Horror). 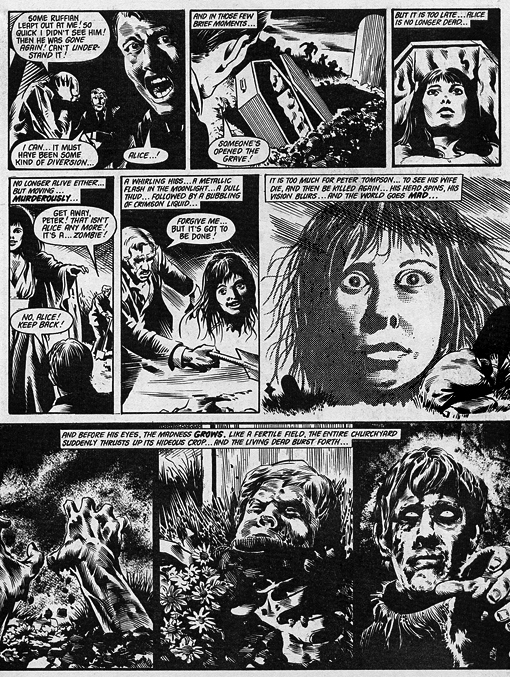 As I mentioned in my previous post, The House of Hammer was a British film and comic magazine published between 1976 and 1978. 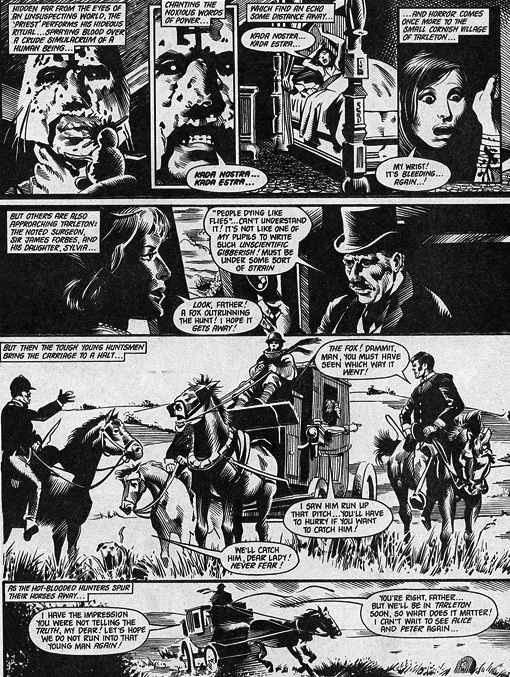 The following pages are from issue #13 (also called issue #1 Vol. 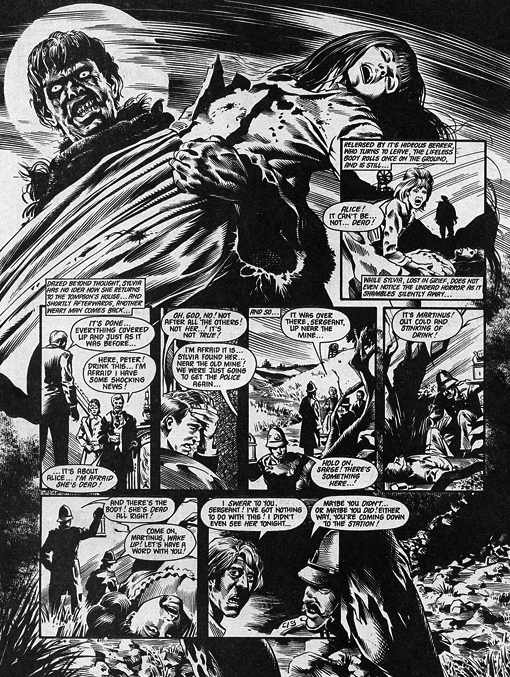 2), which featured another great cover painted by Brian Lewis depicting a scene from John Gilling’s Plague of the Zombies (1966). 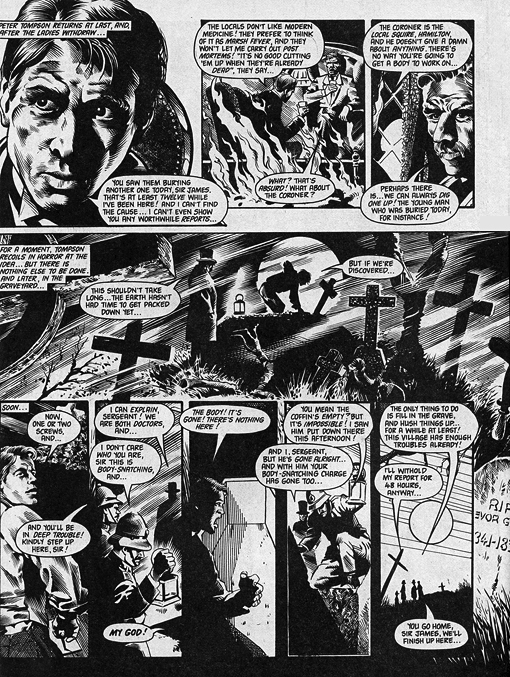 The following sample pages are from the comic illustrated by the notable storyboard artist, Trevor Goring and written by Steve Moore. 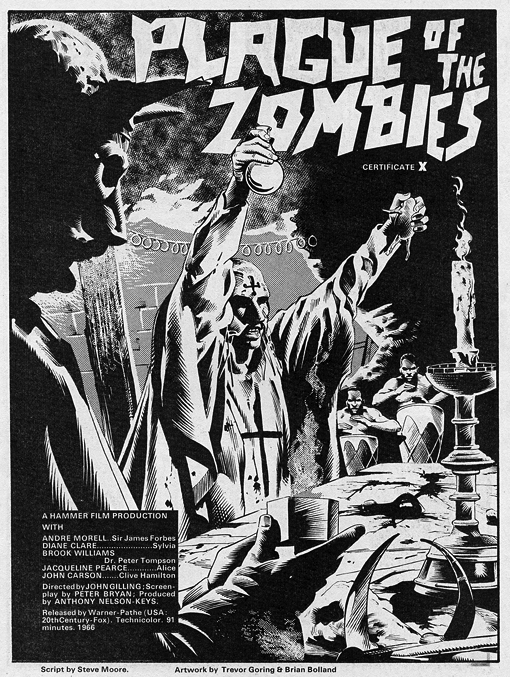 The back cover of the magazine featured a movie poster for Plague of the Zombie, which I’ve also included along with a promo shot featuring a very scary looking Ben Aris in his zombie makeup carrying actress Jacqueline Pearce. 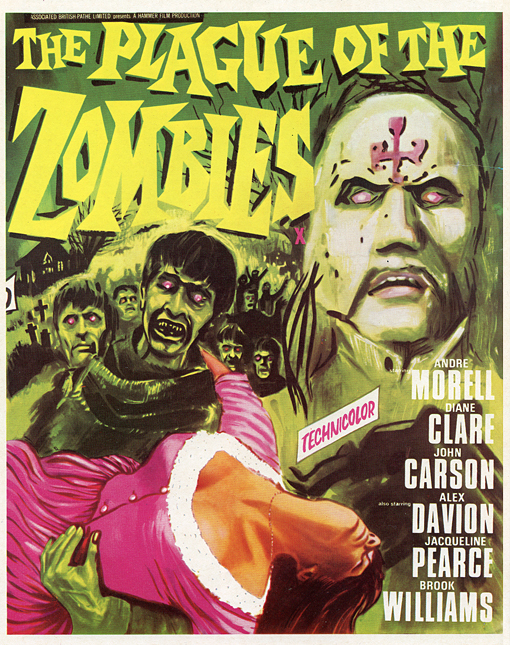 Plague of the Zombies is too often overshadowed by all the zombie films that followed in its distinct footsteps, which is a shame. 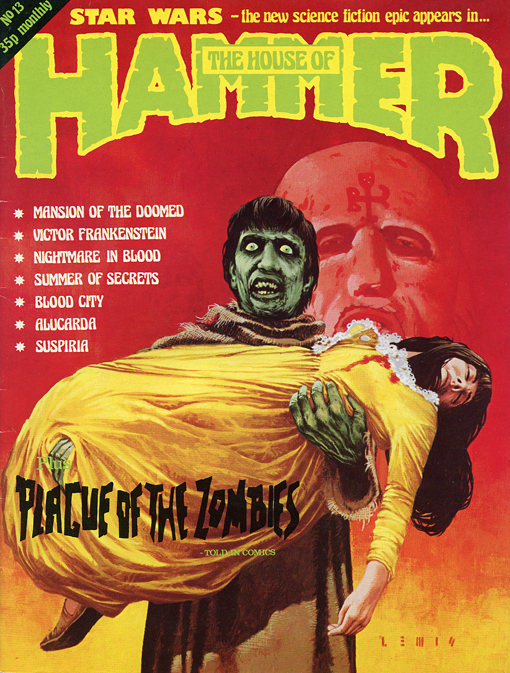 I think it’s one of Hammer’s best films and features some of the studio’s most innovative monster makeup. 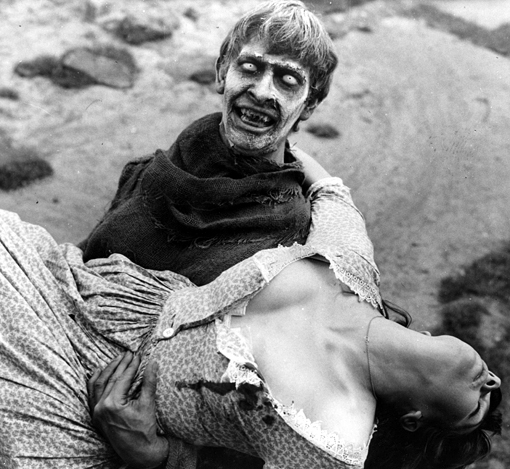 Don’t watch it alone!